Laurelhurst Craftsman Bungalow: Stupid computer games . . .
Jeff and I must have been channeling our inner teenager for the last couple of weeks because we managed to get totally distracted by an online computer game. The time just sort of slipped by and we barely noticed. But last Friday I looked up the date we started and was shocked to realize how much time we had wasted! Partly, I think we were feeling really overwhelmed by it all and it was easy to go tuck our heads into our computers and ignore all the other stuff. So, I decided it was time for some project rescheduling. I still want to get many of the same projects done this year, but I'm trying to be more realistic about our abilities to actually finish them before summer. I think we have finally gotten our act together and progress on our lists should resume. Right now we're focusing on small projects. 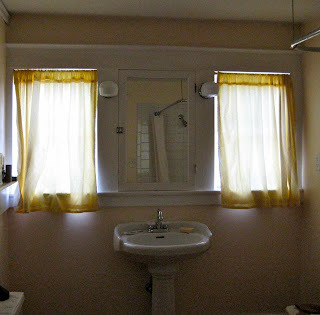 Today I finally made curtains for our master bathroom. This is one of those "why didn't I do this sooner" projects. It really only took me a few hours and most of the time was sitting around sewing on rings. 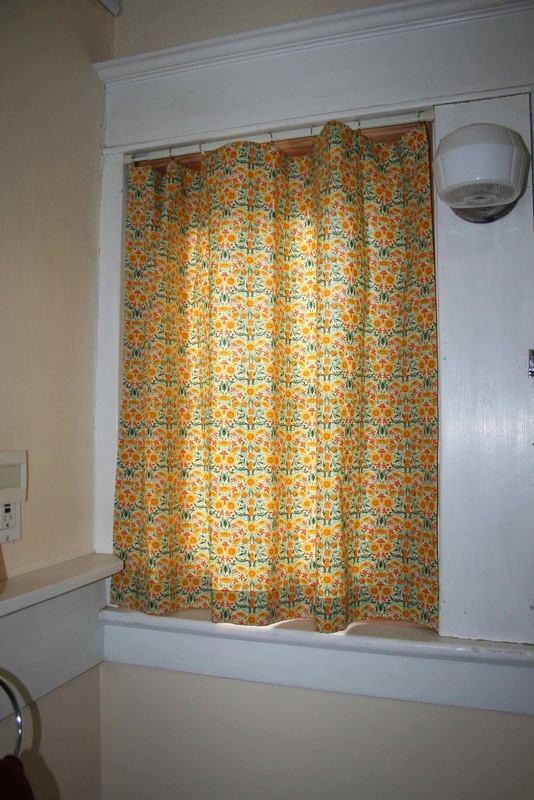 I didn't like the old curtains because they were faded polka dot and didn't really seem like they were designed for these windows since they were about 4 inches too long. And they didn't open and close very well because the casing was very bulky on the rod. This is pretty much the only before picture I can find but it's not very good because it is backlit. This is what the new curtains look like. 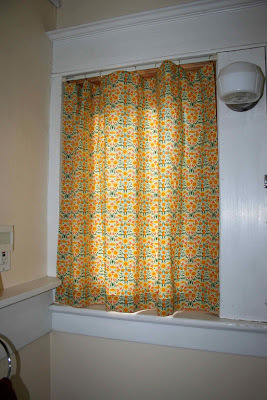 The fabric I used is a William Morris design done in bright colors. I've sewn on rings so the curtains will actually open and close, unlike the old ones. They're cheery and bright and I like them. I think the weather has made us all want to hibernate a little. Nice curtains! I agree--the sun came out yesterday and again today, so now I want to get out and enjoy it a little. 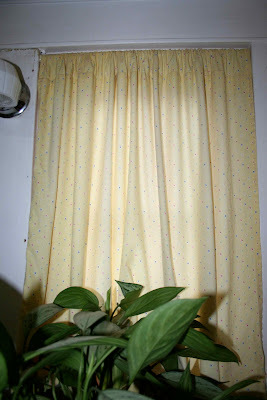 The curtains are very cheerful!